Investigation work is to continue on former industrial land which is allocated for a major mixed-use development. Subject to planning permission, the 112 hectare brownfield site to the south of Hindley will see the delivery of up to 2,000 family homes, 12 hectares of employment land and a new east-west link road. The South Hindley site will also include 40 hectares of open space with a range of natural spaces, play areas and sports pitches. 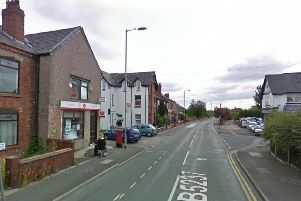 The land was identified for development in Wigan Council's Local Plan Core Strategy in 2013 and a planning application is expected to be submitted later this year. The investigation work will involve excavations to depths of around 3 metres and a number of boreholes to depths of around 15 metres. Wigan Council has had that the work is taking place to make sure any contamination is identified and addressed before any building work takes place. Concerns have already been raised that the land could be contaminated by asbestos and fears are still rife about hidden mine shafts in the area. Residents are being reassured that there is no risk to the public as a consequence of the works. Karl Battersby, Wigan Council’s director for economy and environment, said: “On sites which have previously been used for industry there is usually a need to confirm that the ground is free from significant contamination. “If any contamination is found, appropriate remediation work will be undertaken before any development takes place so that the environment and future residents will be safe. The masterplan is being developed jointly by the council and Peel Holdings who own part of the South Hindley site. Residents living near the proposed development, say it will cause traffic mayhem, leave the infrastructure unable to cope and involve building on potentially-dangerous land. In November Hindley Green resident Paula Dean set up a petition urging a re-think on the development on popular campaigning website 38 Degrees. Another Hindley resident, Gayle Buckley, speaking on behalf of a community group, said: “The road infrastructure in Hindley and surrounding community is already gridlocked and cannot sustain the development of 2000 houses that potentially will bring 4000 cars into the system. “The proposal will decimate all wildlife corridors between Leyland Park, Low Hall and Amberswood. There is little open space left for people to enjoy the outdoors to stay healthy."